Pre-industrial typically have predominantly agricultural economies and limited production, division of labor, and class variation. A hunter-gatherer society is one in which most or all food is obtained from wild plants and animals, in contrast to an agricultural society that relies mainly on domesticated species. Feudalism was a set of legal and military customs in medieval Europe that flourished between the ninth and fifteenth centuries, and, broadly defined, was a system for structuring society around relationships derived from the holding of land in exchange for service or labor. Manorialism, an essential element of feudal society, was the organizing principle of rural economy that originated in the villa system of the Late Roman Empire. pre-industrial society: Pre-industrial society refers to specific social attributes and forms of political and cultural organization that were prevalent before the advent of the Industrial Revolution. It is followed by the industrial society. manorialism: A political, economic, and social system in medieval and early modern Europe; originally a form of serfdom but later a looser system in which land was administered via the local manor. feudalism: A social system that is based on personal ownership of resources and personal fealty between a suzerain (lord) and a vassal (subject). Defining characteristics of feudalism are direct ownership of resources, personal loyalty, and a hierarchical social structure reinforced by religion. Pre-industrial societies are societies that existed before the Industrial Revolution, which took place in the eighteenth and nineteenth centuries. Some remote societies today may share characteristics with these historical societies, and may, therefore, also be referred to as pre-industrial. In general, pre-industrial societies share certain social attributes and forms of political and cultural organization, including limited production, a predominantly agricultural economy, limited division of labor, limited variation of social class, and parochialism at large. While pre-industrial societies share these characteristics in common, they may otherwise take on very different forms. Two specific forms of pre-industrial society are hunter-gatherer societies and feudal societies. A hunter-gatherer society is one in which most or all food is obtained by gathering wild plants and hunting wild animals, in contrast to agricultural societies which rely mainly on domesticated species. Hunter-gatherer societies tend to be very mobile, following their food sources. They tend to have relatively non-hierarchical, egalitarian social structures, often including a high degree of gender equality. Full-time leaders, bureaucrats, or artisans are rarely supported by these societies. 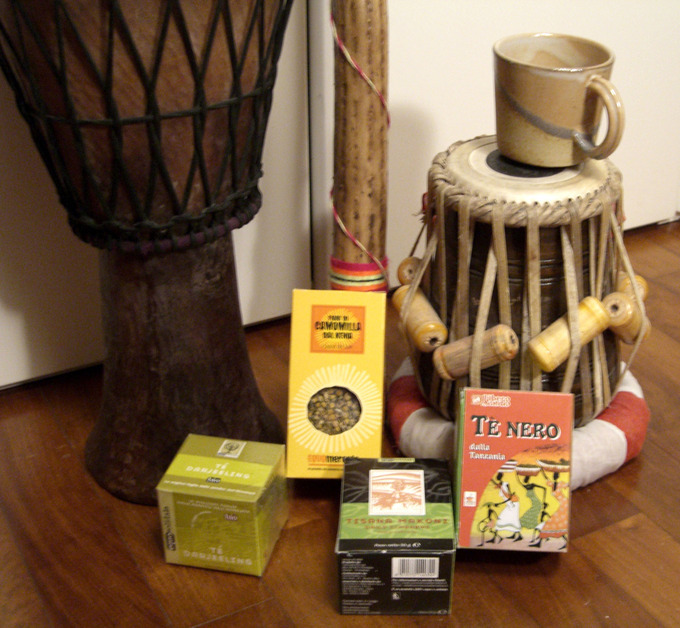 Hunter-gatherer group membership is often based on kinship and band (or tribe) membership. Following the invention of agriculture, hunter-gatherers in most parts of the world were displaced by farming or pastoral groups who staked out land and settled it, cultivating it or turning it into pasture for livestock. Only a few contemporary societies are classified as hunter-gatherers, and many supplement their foraging activity with farming or raising domesticated animals. Feudalism was a set of legal and military customs in medieval Europe that flourished between the nineteenth and fifteenth centuries. Broadly speaking, feudalism structured society around relationships based on land ownership. Feudal lords were landowners; in exchange for access to land for living and farming, serfs offered lords their service or labor. This arrangement (land access in exchange for labor) is sometimes called “manorialism,” an organizing principle of rural economy that originated in the villa system of the Late Roman Empire. Manorialism was widely practiced in medieval western and parts of central Europe, until it was slowly replaced by the advent of a money-based market economy and new forms of agrarian contract. 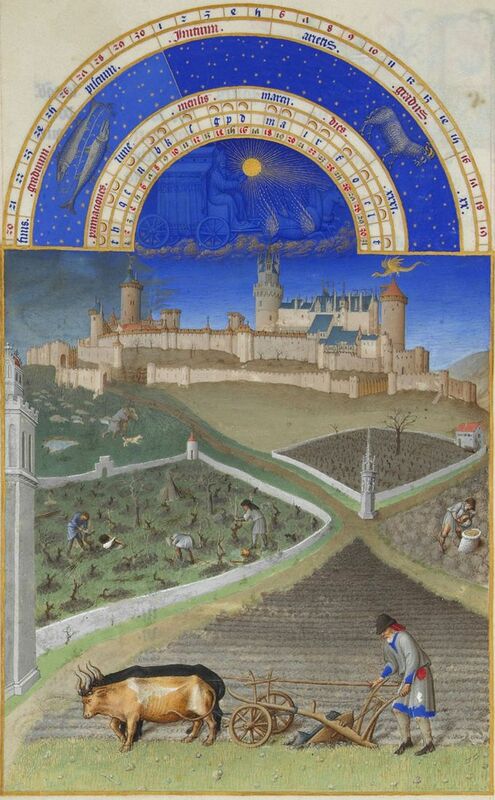 Feudal Manor: This painting from feudal time shows how fields surrounded the feudal manor where the noble who owned the farms lived–a good depiction of how society was oriented around the agricultural economy. Feudal Systems: This video explains the basics of feudal societies in Europe. During the Industrial Revolution (roughly 1750 to 1850) changes in technology had a profound effect on social and economic conditions. The First Industrial Revolution, which began in the 18th century, merged into the Second Industrial Revolution around 1850. Great Britain provided the legal and cultural foundations that enabled entrepreneurs to pioneer the Industrial Revolution. Starting in the latter part of the 18th century, there began a transition in parts of Great Britain’s previously manual labor and draft-animal-based economy towards machine-based manufacturing. The introduction of steam power fuelled primarily by coal, wider utilization of water wheels, and powered machinery—mainly in textile manufacturing—underpinned the dramatic increases in production capacity. The effects spread throughout Western Europe and North America during the 19th century, eventually affecting most of the world, a process that continues as industrialization today. steam power: Power derived from water heated into steam, usually converted to motive power by a reciprocating engine or turbine. The Industrial Revolution was a period from 1750 to 1850 where changes in agriculture, manufacturing, mining, transportation, and technology had a profound effect on the social, economic and cultural conditions of the times. It began in the United Kingdom, and then subsequently spread throughout Western Europe, North America, Japan, and eventually the rest of the world. The Industrial Revolution marks a major turning point in history; almost every aspect of daily life was influenced in some way. Most notably, average income and population began to exhibit unprecedented sustained growth. In the two centuries following 1800, the world’s average per capita income increased more than tenfold, while the world’s population increased over sixfold. 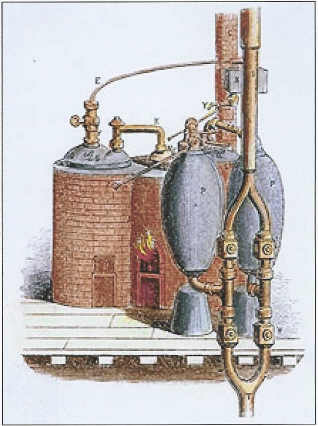 The First Industrial Revolution, which began in the 18th century, merged into the Second Industrial Revolution around 1850, when technological and economic progress gained momentum with the development of steam-powered ships, railways, and later in the 19th century with the internal combustion engine and electrical power generation. The period of time covered by the Industrial Revolution varies with different historians. Eric Hobsbawm held that it “broke out” in Britain in the 1780s and was not fully felt until the 1830s or 1840s, while T. S. Ashton held that it occurred roughly between 1760 and 1830. Savery Engine: The Savery Engine, invented in 1698, was one of the first steam engines available commercially. It dramatically changed how the economic system functioned. Great Britain provided the legal and cultural foundations that enabled entrepreneurs to pioneer the Industrial Revolution. Starting in the later part of the 18th century, there began a transition in parts of Great Britain’s previously manual labor and draft-animal-based economy toward machine-based manufacturing. It started with the mechanization of the textile industries, the development of iron-making techniques and the increased use of refined coal. Trade expansion was enabled by the introduction of canals, improved roads and railways. With the transition away from an agricultural-based economy and toward machine-based manufacturing came a great influx of population from the countryside and into the towns and cities, which swelled in population. The introduction of steam power fuelled primarily by coal, wider utilization of water wheels, and powered machinery—mainly in textile manufacturing —underpinned the dramatic increases in production capacity. The development of all-metal machine tools in the first two decades of the 19th century facilitated the manufacturing of more production machines for manufacturing in other industries. The effects spread throughout Western Europe and North America during the 19th century, eventually affecting most of the world, a process that continues as industrialization today. The impact of this change on society was enormous. Microfinance is usually understood as the provision of financial services to micro-entrepreneurs and small businesses. The modern use of the expression “microfinancing” has roots in the 1970s. At this time, organizations such as the Grameen Bank of Bangladesh, led by Muhammad Yunus, were starting to shape the modern microfinance industry. Microfinance is a broad category of services, one of which is microcredit. Microcredit is the provision of credit services to poor clients. Although microcredit is only one of the aspects of microfinance, conflation of the two terms is endemic in public discourse. An important source of detailed data on selected microfinance institutions is the MicroBanking Bulletin, which is published by Microfinance Information Exchange. Most criticisms of microfinance are actually just criticisms of microcredit. Other microfinance services, like savings, remittances, payments, and insurance, are rarely criticized. For example, many have criticized the high interest rates microfinance charges to borrowers. Grameen Bank: The Grameen Bank, a microfinance organization and community development bank started in Bangladesh, makes small loans (known as microcredit or “grameencredit) to the impoverished without requiring collateral. In microfinance, financial services are provided to micro-entrepreneurs and small businesses, many of whom lack access to banking services because of the high transaction costs associated with serving these types of clients. There are two main mechanisms for delivering microfinance services. Relationship-based banking deals with individual entrepreneurs and individual businesses. In group-based models, several entrepreneurs unite to apply for loans and services as a group. Microfinance is a broad category of services that includes microcredit. Microcredit is the provision of credit services to poor clients. Although microcredit is only one type of microfinance, conflation of the two terms is endemic in public discourse. Critics often attack microcredit while referring to it indiscriminately as either ‘microcredit’ or ‘microfinance’. Due to the broad range of microfinance services, some argue that it is difficult to objectively assess its impact. Very few studies have tried to assess its full impact, although there have been several studies that examined particular cases. The history of microfinance dates back to the middle of the 19th century, when Lysander Spooner, a theorist, argued that entrepreneurs and farmers could be raised out of poverty if they were given small credits. Independently of Spooner, around this time, Friedrich Wilhelm Raiffeisen established the first cooperative lending banks to support rural German farmers. The modern use of the term “microfinancing” dates back to 1970s. At this time, organizations such as the Grameen Bank of Bangladesh, led by Muhammad Yunus, were beginning to shape the modern microfinance industry. An important source of detailed data on microfinance institutions is the MicroBanking Bulletin, which is published by the Microfinance Information Exchange. At the end of 2009, this organization was tracking 1,084 microfinance initiatives that were serving 74 million borrowers ($38 billion in outstanding loans) and 67 million savers ($23 billion in deposits). Most criticisms of microfinance are actually just criticisms of microcredit. Other microfinance services, like savings, remittances, payments and insurance, are rarely criticized. For example, many people have criticized the high interest rates microfinance charges to borrowers. In 2006, in a sample of 704 microfinance institutions that voluntarily submitted reports to the MicroBanking Bulletin, the real average portfolio yield was 22.3% annually. That being said, the annual rates charged to clients were higher, because these rates included local inflation and the bad debt expenses of the microfinance institution. Recently, Muhammad Yunus has tried to react to this point. In his latest book, he argues that microfinance institutions should face penalties if they are found to be charging more than 15% above their long-term operating costs. 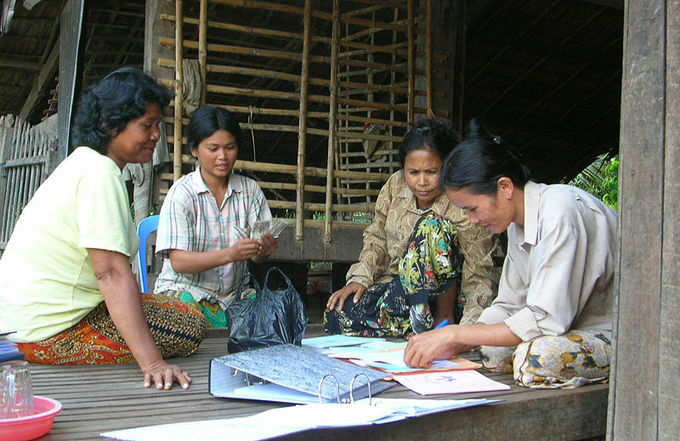 Community-based Savings Bank in Cambodia: This is a photograph of a community-based savings bank in Cambodia. There is a rich variety of financial institutions which serve micro-entrepreneurs and small businesses. Deindustrialization occurs when a country or region loses industrial capacity due to relocation or increased efficiency. The term ” deindustrialization crisis” has been used to describe the decline of manufacturing in a number of countries and the flight of jobs away from cities. Detroit and the American automobile industry are regarded as the prototypical examples of how deindustrialization can negatively impact an area and population. They are by no means the only examples of this phenomenon. In the U.S., the population of the great manufacturing cities of the Midwest and Northeast has declined significantly due to deindustrialization. Manufacturing jobs have been eliminated or relocated to the Southeast and Southwest, where labor is cheaper. Due to increasing efficiency and productivity, manufacturing today makes up a smaller share of the U.S. workforce than it has at any time in the past hundred years. The population of the great manufacturing cities of the northeast has declined significantly: Detroit, Cleveland, Pittsburgh, St. Louis, and Buffalo, NY, have all lost half their population or more in the past half-century. The widespread perception of deindustrialization in the United States is due to shifting patterns in the geography and political geography of production: from the heavily unionized Northeast and Midwest towards the right-to-work states of the Southeast and the high supply of workers willing to accept low wages in the Southwest. Detroit: the largest city and former capital of Michigan, a major port on the Detroit River, known as the traditional automotive center of the U.S.
right-to-work states: Right-to-work states have passed laws that prohibit union security agreements, or agreements between labor unions and employers that govern the extent to which an established union can require employees’ membership, payment of union dues, or fees as a condition of employment, either before or after hiring. Right-to-work laws exist in twenty-three U.S. states, mostly in the southern and western United States. Deindustrialization occurs when a country or region loses industrial capacity, especially heavy industry or manufacturing industry. This process is often attributed to off-shoring, which is itself a consequence of increased global free trade. Deindustrialization is, in a sense, the opposite of industrialization, and, like industrialization, deindustrialization may have far-reaching economic and social consequences. The term “deindustrialization crisis” has been used to describe the decline of manufacturing in a number of countries, including the U.S., which have lost large numbers of urban manufacturing jobs since the 1970s. The city of Detroit, and the U.S. automobile industry, are regarded as the prototypical examples of deindustrialization’s negative effects, but Detroit is not an isolated example. The population of the United States has nearly doubled since the 1950s, adding approximately 150 million people. However, during this same period (1950–2007), the population of the great American manufacturing cities declined significantly. Detroit, Cleveland, Pittsburgh, St. Louis, and Buffalo have all lost half their population or more in the past half-century. Baltimore lost almost a third of its population, and Philadelphia lost nearly a quarter of its own. In the United States, the deindustrialization of Midwestern and Northeastern cities has occurred in response to shifting patterns in the geography of production. Just as many American companies have moved their manufacturing operations to developing nations, where they can hire workers for far lower wages, so too have manufacturers in the United States relocated from the heavily unionized Northeast and Midwest toward the Southeast and Southwest. In these areas, right-to-work states limit the power of unions to raise wages. Additionally, the high supply of workers forces those workers who are employed to accept low wages. 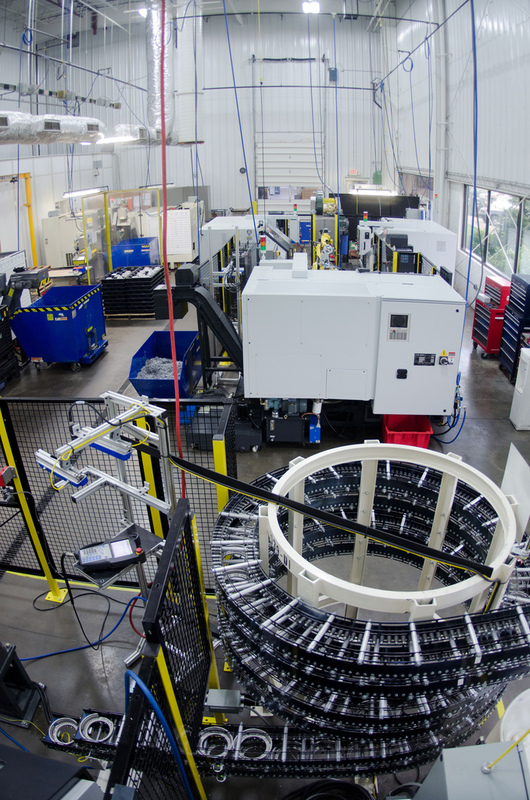 In order to save costs, manufacturers have done more than merely relocate. They have also eliminated jobs, as technological innovation has reduced the demand for manual labor. Though total industrial employment has been relatively stable over the past forty years, the overall U.S. labor force has increased dramatically, resulting in a massive reduction in the percent of the labor force that is engaged in industry. While 35% of workers were involved in industry in the late 1960s, under 20% are today. Manufacturing is thus less prominent in American life and the American economy now than it has been at any other point for hundreds of years. 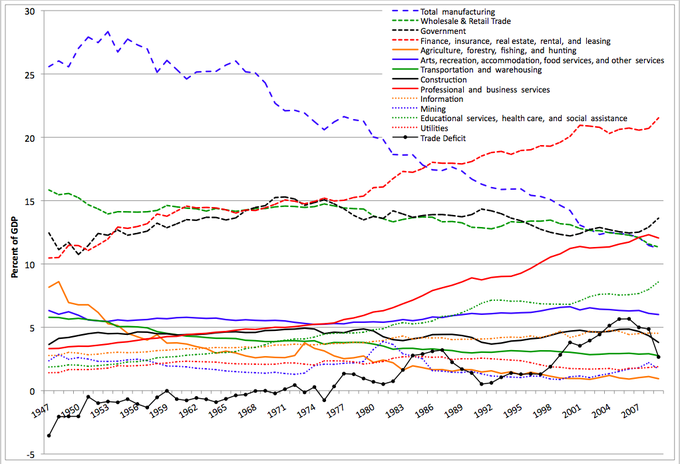 The Decline of the Manufacturing Industry: This graphic shows the decline of the manufacturing industry relative to other industries over the course of the past sixty years. 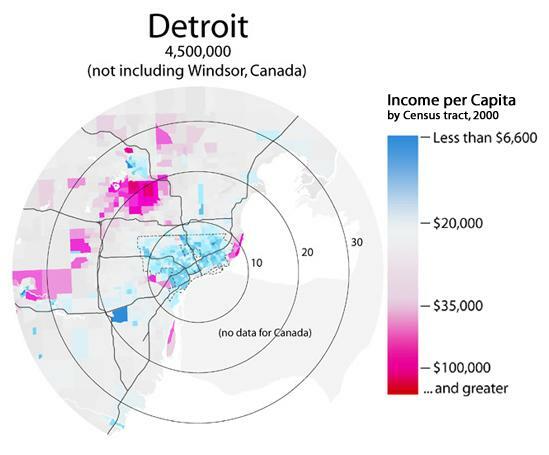 Detroit: This map depicts the economic ramifications of deindustrialization in the Detroit area. The Detroit neighborhoods closest to the city center who were the most dependent upon manufacturing jobs are the most blighted. Corporations have powerful legal rights, and some have revenues that exceed the revenues of sovereign nations. Despite being unlike natural persons, corporations are recognized by the law to have rights and responsibilities like natural persons. For example, corporations can exercise or be responsible for human rights. They can even be convicted of criminal offenses, such as fraud and manslaughter. Multinational corporations are important factors in the processes of globalization. A Transnational Corporation (TNC) differs from a traditional MNC in that it does not identify itself with one national home. The rapid rise of multinational corporations has been a topic of concern among intellectuals, activists, and the public who perceive them as threatening basic civil rights like privacy. Methods for attracting foreign investment have be criticized as a race to the bottom. They have also been described as a push, by corporations, for greater autonomy. Because of their size, multinationals can have a significant impact on government policy, primarily through the threat of market withdrawal. Multinational corporations: A multinational corporation (MNC) is a corporate enterprise that manages production or delivers services in more than one country. The word corporation is widely used to describe incorporated entities, especially those that have a large number of shareholders. Despite not being natural persons, the law recognizes corporations as having rights and responsibilities like natural persons. Corporations can exercise human rights against real individuals and the state, they can be responsible for human rights violations, and they can even be convicted of criminal offenses, such as fraud and manslaughter. Once incorporated, a corporation has artificial personhood everywhere it operates, until the corporation is dissolved. Often, a corporation is legally a citizen of the state (or other jurisdiction) in which it is incorporated. A multinational corporation (MNC) is a corporation that either manages production or delivers services in more than one country. Some multinational corporations are very large, with revenues that exceed some nation’s national revenues. Multinational corporations can have a powerful influence on both local economies and the world economy. They play an important role in international relations and globalization. A transnational corporation (TNC) differs from a traditional MNC in that it does not identify itself with a single national home. While traditional MNCs are national companies with foreign subsidiaries, TNCs spread out their operations in many countries. This allows them to sustain high levels of local responsiveness. The rapid rise of multinational corporations has been a topic of concern among intellectuals, activists and laymen, who perceive it as a threat to basic civil rights like privacy. Scholars have pointed out that multinationals have had a long history of interference in the policies of sovereign nation states. Anti-corporate advocates express the commonly held view that corporations answer only to shareholders, and give little consideration to human rights, environmental concerns, or other cultural issues. Multinational corporations are important factors in the processes of globalization. 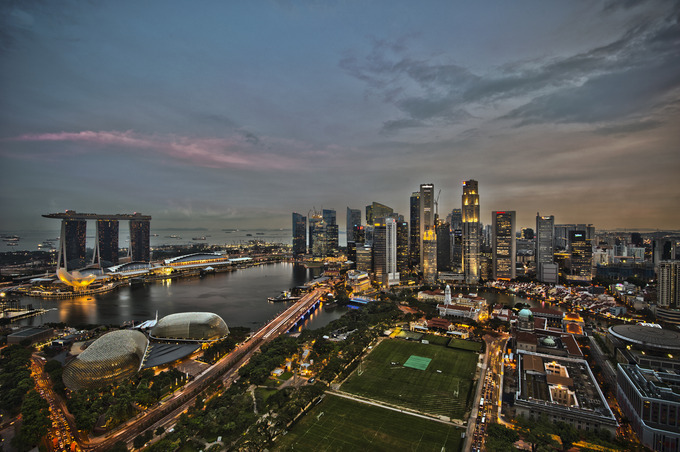 National and local governments often compete against one another to attract MNC facilities, with the expectation of increased tax revenue, employment, and economic activity. To compete, political entities may offer MNCs incentives such as tax breaks, governmental assistance, subsidies, or lax environmental and labor regulations. Because of their size, multinationals can have a significant impact on government policy, primarily through the threat of market withdrawal. Confrontations between corporations and governments have occurred when governments have tried to force MNCs to make their intellectual property public. This is a state effort to transfer technology to local entrepreneurs. Ominous Trends in the U.S. Recently, industry has become more information-intensive, which has led to higher productivity but also higher unemployment and inequality. Industry is becoming more information -intensive, less labor-intensive, and less capital-intensive. Jobs traditionally associated with the middle class are beginning to disappear, either through outsourcing or automation. Automation and computerization have resulted in higher productivity, but they have also led to higher unemployment and a net job loss. Individuals who lose their jobs can respond in several ways. They can either specialize, and join a group of “mind workers,” or settle for low-skill, low-wage service jobs. The resulting polarization has led to a growing disparity between incomes of the rich and poor. Individuals who lose their jobs must either move up, joining a group of “mind workers,” or settle for low-skill, low-wage service jobs. There is another way in which the Information Age has impacted the workforce: automation and computerization have resulted in higher productivity coupled with net job loss. In general, industry is becoming more information-intensive, less labor-intensive, and less capital-intensive. These trends have led observers to call the modern era the information age. The trend toward an information-based economy has important implications for the workforce. While productivity stands to increase dramatically, unemployment is also rising, and jobs are increasingly polarized into the following two categories: high-skill, high-wage jobs, and low-skill, low-wage jobs. Additionally, for the first time, workers are being forced to compete in a global job market, in which jobs tend to be attracted by countries with lower wages. As technology advances, workers are becoming increasingly productive, but the value of labor, and the demand for labor, are both decreasing. Workers who perform easily automated tasks are being replaced by technology that can do the work faster, cheaper, and more efficiently. As a result, automation and computerization have led to both higher productivity and a net job loss. In the United States, from January, 1972 to August, 2010, the number of people employed in manufacturing jobs fell from 17,500,000 to 11,500,000. During the same time period, the value of production from manufacturing increased 270%. In general, jobs that are traditionally associated with the middle class (assembly line workers, data processors, foremen, and supervisors) are beginning to disappear due to automation. They are also disappearing because of outsourcing, which has become more common in an era of global free trade. Production and service workers in industrialized nations are unable to compete with workers in developing countries, who are willing to tolerate much lower wages. As a result, in industrialized nations like the U.S., those working in production have either lost their jobs or been forced to accept wage cuts. Individuals who lose their jobs can respond in several ways. They can either settle for low-skill, low-wage jobs, or they can move up, joining a group called “mind workers. ” This category includes engineers, attorneys, scientists, professors, executives, journalists, and consultants. Currently, these “mind workers” form about 20% of the workforce. They are able to compete successfully in the world market and command high wages. Increasingly, jobs in countries like the United States are polarized into low-skill, low-wage jobs or the high-skill, high-wage jobs of these “mind workers. ” Because of this polarization, there is a growing disparity between the incomes of the rich and poor. In the United States, income inequality began to rise in the 1970s and has increased even more quickly during the 21st century. After WWII, decolonization ended formal colonialism, but economic inequality has given rise to neocolonialism. Colonization was motivated by economics. European powers sought to expand their markets and acquire raw materials overseas. Decolonization occurred in response to independence movements in colonized territories when European powers determined that the benefits of maintaining colonies was not worth the costs. Neocolonialism is the practice of using capitalism, globalization, and cultural forces to control a country in lieu of direct military or political control. Neocolonialism is motivated by economics. Countries and corporations seek to achieve favorable economic policies overseas and do so by pinning loans to particular actions on the part of African states. The dependency principle refers to the claim that post-colonial states have no choice but to accept Western conditions for loans, because they desperately need the money to support their own domestic policies. colony: A territory under the immediate political control of a ruling state. metropole: The parent-state of a colony. When speaking of colonialism, most people imagine the European colonization of Africa. Historically, the period of colonization tends to refer to the era from the sixteenth century until the mid-twentieth century, during which ships from Europe were actively seeking out new territories, new peoples, and new markets to acquire. However, colonialism has been practiced throughout history and all over the world. In general, colonialism occurs when people from one territory establish or acquire, maintain, and expand colonies in another territory. In colonialism, the metropole or colonizing power claims sovereignty over the colony. Often, colonization is driven by a desire for economic expansion. In the sixteenth century, European colonization of Africa contributed significantly to European economic development. European colonization intensified because Europeans had just developed galleons or ships that could navigate more easily all the way to Africa. Easier access to foreign lands encouraged European nobles and merchants to seek out new territories in an effort to acquire raw materials and develop new markets. Extracting raw materials from foreign lands provided the fuel for the Industrial Revolution, and the practice of slavery provided Europeans with a new source of labor power. At the same time that colonialism benefited European economies, it had devastating consequences for African economies. Colonized territories were forced to depend on colonizers for trade. Local institutions and political structures were dismantled and replaced with ones imposed by colonial powers. After World War II, colonial systems were dismantled in a process referred to as decolonization. Decolonization refers to the undoing of colonialism, or the claim of a formerly colonized people for independence and self-determination. In part, decolonization was the result of independence movements in colonized territories. In part, it was also the result of an calculated economic decision made by colonial powers. The cost of maintaining colonial empires had begun to exceed their value for the European powers. The State of Colonialism, 1945: This map shows the metropoles and their colonies in 1945. Decolonization has had a significant impact on the economies of the newly formed states. First and foremost, newly independent African states had to develop an economic system. Moreover, even though the former colonies were now formally independent, they were still rather dependent on the West for assistance in developing economic and political structures. Thus, Western corporations still had a significant amount of control over the new states. Newly independent states borrowed money from the West in order to fund their own development, resulting in a new system of debt. For decades, this debt has been politically impossible for many countries to pay off and still exists. Although decolonization ended formal colonialism, unequal economic relationships between the developed West and newly independent states had set up a system referred to as neocolonialism. Neocolonialism is the practice of using capitalism, globalization, and cultural forces to control a country in lieu of direct military or political control. External forces exert power in Africa in two ways. First, multinational corporations (MNCs), or companies with operations in multiple countries, apply pressure for certain political behaviors to suit their own interests. For example, if an American company wants to farm in Ethiopia, the company can apply pressure on the Ethiopian government to grant them certain conditions in exchange for the investment in the land. This function operates because of the dependency principle. In other words, many African countries are so desperate to bring in revenue to support their domestic agendas that it is in their interests to accept unsavory conditions from foreign companies. In this way, foreign companies exert significant influence over post-colonial states. The combination of the degree of the influence and the dependency principle creates a situation that in many ways mirrors colonialism. Second, foreign countries can exert influence over post-colonial states by only offering loans under certain conditions. This, again, invokes the dependency principle and mirrors colonialism. Neocolonialism: Some argue that the financial institutions of the post-World War II world are themselves instruments of neocolonialism. A trade bloc is an agreement where regional barriers to trade are reduced or eliminated among the participating states. Trade blocs can be stand-alone agreements between several states, such as the North American Free Trade Agreement (NAFTA) or part of a regional organization, such as the European Union. A single market is a type of trade bloc that is composed of a free trade area for goods, with common policies on product regulation, as well as freedom of movement on capital, labor, enterprise, and services. A common market is a first stage towards a single market, and may be limited initially to a free trade area with relatively free movement of capital and of services, but not so advanced in reduction of the rest of the trade barriers. North American Free Trade Agreement (NAFTA): An agreement signed by the governments of Canada, Mexico, and the United States, creating a trilateral trade bloc in North America. It came into force in 1994. Common market: A common market is a first stage towards a single market, and may be limited initially to a free trade area with relatively free movement of capital and of services, but not so advanced in reduction of the rest of the trade barriers. trade bloc: A trade bloc is a type of intergovernmental agreement, often part of a regional intergovernmental organization, where regional barriers to trade, (tariffs and non-tariff barriers) are reduced or eliminated among the participating states. A trade bloc is a type of intergovernmental agreement, often part of a regional intergovernmental organization, where regional barriers to trade are reduced or eliminated among the participating states. Trade blocs can be stand-alone agreements between several states, such as the North American Free Trade Agreement (NAFTA) or part of a regional organization, such as the European Union. A single market is a type of trade bloc that is composed of a free trade area for goods, with common policies on product regulation, as well as freedom of movement on capital, labor, enterprise, and services. According to the principles of capitalism, a single market has many benefits. With full freedom of movement for all the factors of production between the member countries, the factors of production become more efficiently allocated, further increasing productivity. However, entering a trade bloc also strengthens ties between member parties. In so doing, member parties not only share each others’ strengths but also each others’ weaknesses. Economist Jeffrey J. Scott argues that for a trade bloc to be successful, members must share four common traits: similar levels of per capita national income, geographic proximity, similar or compatible trading regimes, and a political commitment to regional organization. For better or for worse, trade blocs are prevalent. Since 1997, more than 50% of all world commerce was conducted under the auspices of regional trade blocs, such as NAFTA. NAFTA: NAFTA is an agreement between the US, Mexico and Canada, as represented by the 3 flags in its logo.